Belle Epoque Rosé is a delightful, gentle wine, with all the qualities of a great pink Champagne that offers both roundness and vinosity: elegance, finesse, delicacy and subtle fruity aromas.The transparency of the magnificent bottle, with its Emile Gallé floral decor, reveals this attractive pink tint, achieved by addition of a certain amount of carefully selected red Champagne wine. 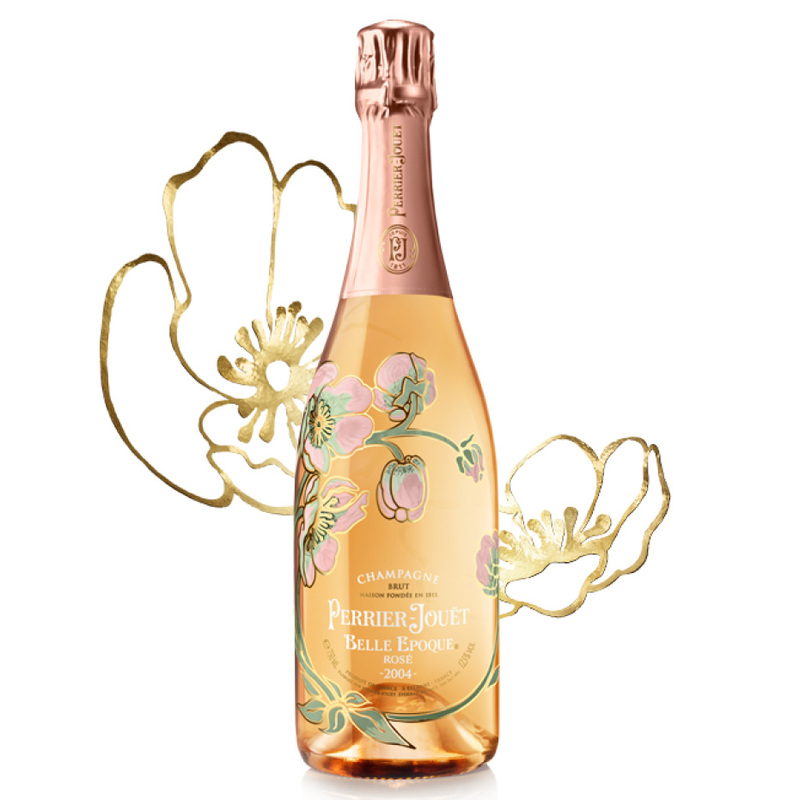 The Belle Epoque Rosé is an attractive, salmon-pink colour, which contributes to rendering it elegant and fascinating. The bubbles are persistent and of fine quality. Very elegant aromas of red fruits: wild strawberries and redcurrants, with notes of honey and baked bread on the finish. The considerable aromatic generosity of this wine is confirmed by a fine flavour, which is well-balanced and sustained. Its great complexity reveals excellent length and power, while retaining a certain delicacy and freshness.